A pottery vessel bought at a garage sale for a pittance turns out to be a 4,000-year-old archaeological treasure. An avid collector of antiquities and oddities, Karl Martin bought this pot and another at a car boot sale in Willington, Derbyshire, for £4 (a whopping five bucks and a dime at the current rate of exchange). He thought it might be old, very old even, and he liked its simple line painted animal figures, but he didn’t research it further at the time. He just put it to use in his bathroom to hold his toothbrush and paste. Martin says he even got a few toothpaste smears on it and thought nothing of it. He didn’t follow up on his old toothbrush pot, even though his passion for antiquities had inspired him to get a job at Hansons Auctioneers two years before his bargain purchase. 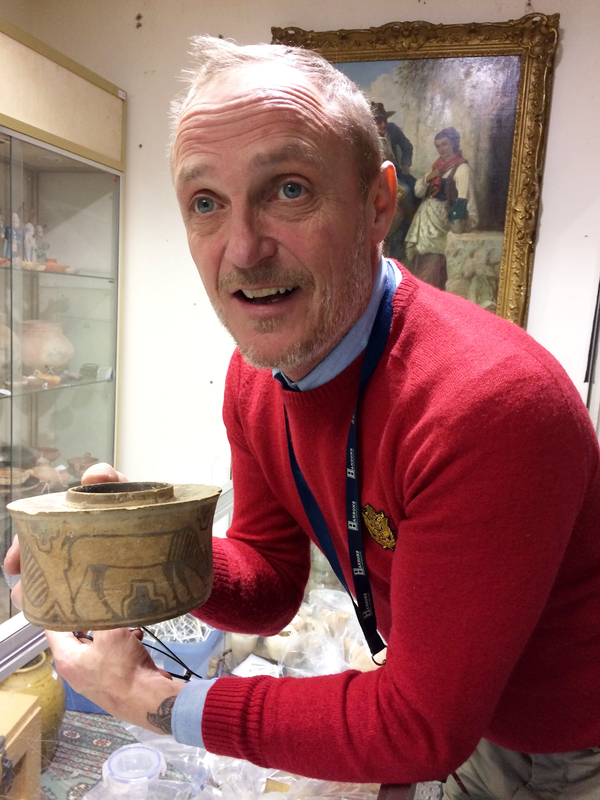 He was at work, in fact, when he saw line painted pottery that reminded him of his old toothbrush holder and asked Hansons’ antiquities expert James Brenchley to look at his pot. 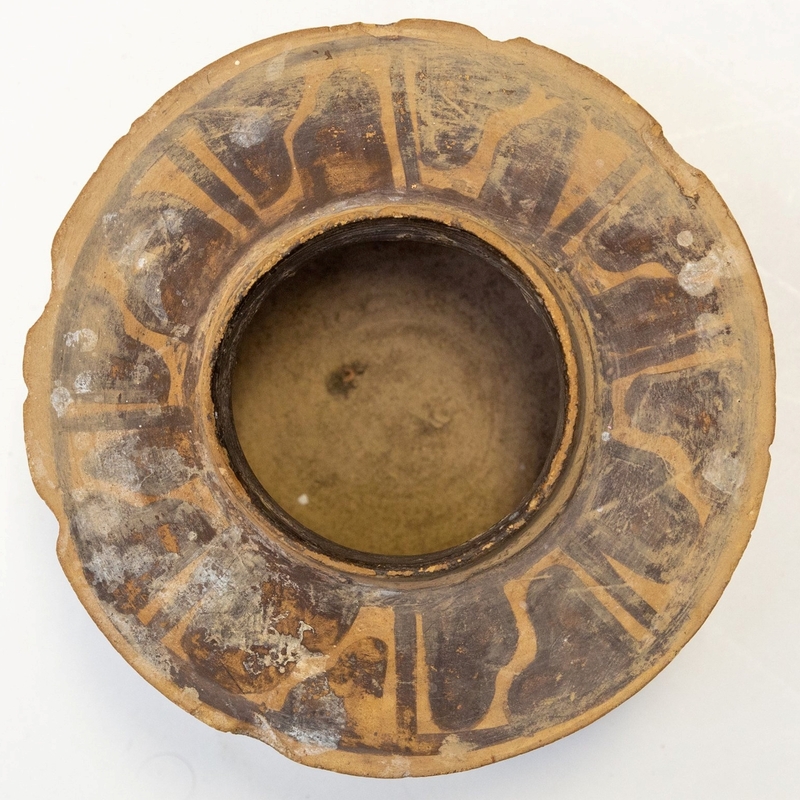 He identified it as an ancient piece of pottery made in the Indus Valley area in around 1900 B.C. James Brenchley, head of antiquities at Hansons Auctioneers, said: “This is an Indus Valley Harappan Civilisation pottery jar dating back to 1900 BC. This was a Bronze Age civilisation mainly in the north western regions of South Asia. Martin decided to put up for auction at Hansons’ antiquities sale November 26th. He made a tidy profit considering his £4 investment but it was no windfall. The hammer price was £80. Uh, yeah friend. Of course you should have kept it. I’ll take free and clear title to a cool ancient pot over a hundred bucks any day. Besides, you owed it a little mantelpiece display or something after all those years it suffered watching you spit into a sink. Coroners’ inquests in Britain have made frequent appearances on this here blog, but only in their role in determining whether archaeological material is official treasure according to the criteria of the Treasure Act. Commenters have occasionally remarked on how incongruous it is that coroners are tasked with investigating ancient hoards and medieval brooches and Bronze Age hand axes as well as suspicious deaths. Thanks to the efforts of the University of Cambridge, Institute of Criminology, Violence Research Centre, we can now give the profession’s original purpose all due attention. 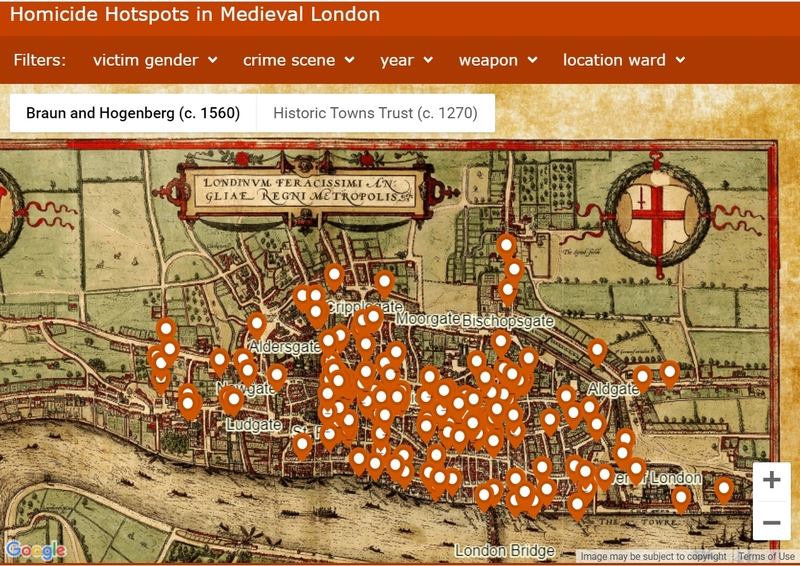 UC researchers have created an interactive online map of 142 murders that took place in London in the first half of the 14th century. The London Medieval Murder Map documents the location of the crimes, the years they took place, the means of murder, the identity of the victims and, if known, the killer. You can hover over each pin on the map to get a preview of the information about the homicide that occurred there; click on them to read the whole story. Filters on the top right allow you to group the crimes by categories — victim gender, weapon used, whether the location was public or private, the ward the crime scene was in — and you can explore the vicious underbelly of London on two different maps. 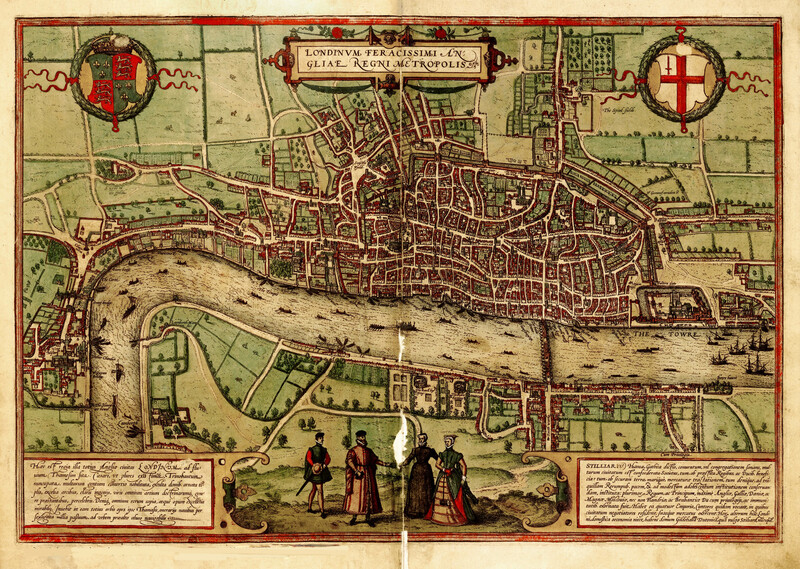 One is an Elizabethan-era map, so drawn two centuries after the murders, but it offers a birds-eye view of a London before the explosion of urban development made it diverge radically from the city in the 14th century. The other was created in 1270. To switch between the two, click on the icons in the upper left half of the map. This extraordinary record of crime in medieval London comes down to us in its entirety from Coroner’s inquests. After a sudden death, suicide, accident, murder, any death that was not clearly attributable to natural causes, the coroner and sheriff would assemble a jury to investigate the circumstances. Coroners had jurisdiction over the 24 wards — neighborhoods inside and outside the old Roman wall that were largely self-governing — of London. Juries were composed of free men from the ward in which the body had been found and from three adjacent wards. Juries could have as few as 12 members or as many as 50. The conclusions drawn by the officials and jury at the inquest were documented in the Coroners’ Rolls. In the case of homicides, they included a summary of the location and time of the murder, the parties involved, the weapon used and the types of the wounds. 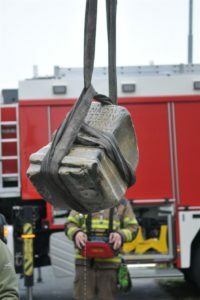 The rolls also included the jury’s answers to questions about witnesses, the fate of the murders and items found at the scene of the crime. There are nine extant Coroners’ Rolls from London between 1300 and 1340. The years from 1301 through 1314 and 1317 through 1320 have been lost. The 142 homicides pinned on the map are the murders documented in the surviving Coroners’ Rolls. It’s a fascinating browse. The information encompasses not just the Clue-like summations (“Male in public with a long knife”), but also interesting names, vernacular that can delicately be described as colorful and an overall picture of life and death in the big city that is sometimes rendered in minute detail. There are also statistical data that can be compiled from the rolls, like for instance that by far the most murders, 52.8% of them, took place in public squares and streets. That’s 75 murders. Only six happened in a tavern, the same number that happened in a religious building. Brothels and prisons were comparatively safe places with only two and one murder recorded respectively. The weapon of choice was the long knife, with 51 bodies on its blade. The short knife takes second place with 29, and the bronze goes to the staff. Ten more people were killed with staffs than with swords. Seal stamps from the 1300s are rare finds, and ones that belonged to women are as rare as it gets. Finding the seal of a 14th century woman who actually appears by name in historical sources is practically unprecedented. 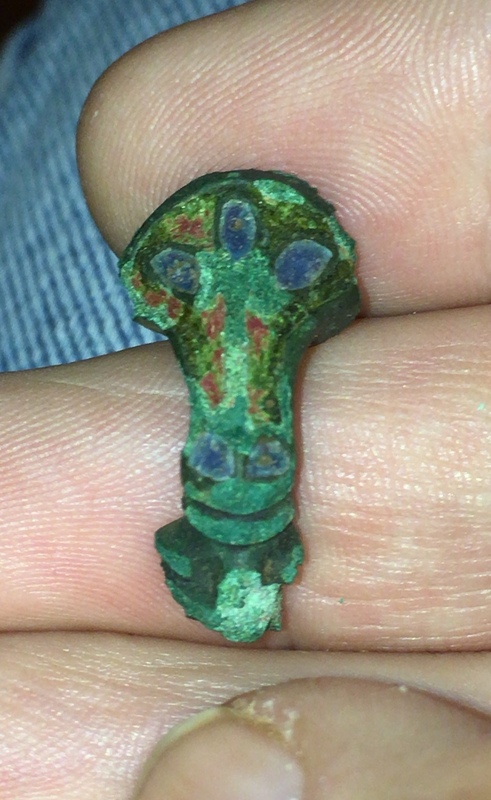 Lasse Rahbek Ottesen, a truly committed amateur archaeologist, has done just that, discovering the bronze seal of Elisabeth Buggesdatter at Hodde in western Jutland. Elisabeth Buggesdatter was the daughter of Niels Bugge, one of the richest men in Jutland. He was on the council of King Valdemar IV Atterdag and fought with the ambitious monarch against the Margraviate of Brandenburg and the Duchy of Mecklenburg in 1349, but he turned on the king when Valdemar sought to wrest control of Jutland from the nobles. Niels Bugge was one of the leaders of a rebellion against Valdemar in the early 1350s. The rebellion ended with a treaty in 1353, but tensions flared repeatedly over the decade. Bugge was one of three members of Jutland’s ruling nobility who met with Vademar the Christmas of 1358 to discuss detente. The discussions failed and all three men were assassinated on their way home. One of his most important holdings, the estate of Hald near Viborg, he acquired through his second wife Ingeborg Pedersdatter. Their daughter Elizabeth was born around 1346. After her father’s murder, Elisabeth inherited Hald. She married Gotskalk Skarpenberg, member of a German noble family that had immigrated to Denmark in the 13th century, and established herself as a prominent figure in Danish society. She spoke at the tinge, the legislative and judicial assemblies of medieval Denmark, and is noted in the historical record as a wealthy property owner. She sold the family estate of Hald to Queen Margrete (possibly under less than entirely voluntary conditions) but her will attests that she was still a rich woman when she died around 1402. Her political prominence, extensive property holdings and wealth would have made a personal seal stamp a necessity for Elizabeth to see to her business. Seals were impressed into wax and the stamped wax affixed to legal documents, property deeds, declarations, anything that needed the official imprimatur of relevant parties. The stamp was like a signature on steroids. If it was lost or stolen, someone of nefarious intent could sign documents under that person’s name, a medieval version of identity theft. When someone died, their seal was usually destroyed to prevent shenanigans. That’s why few of them have survived. Ottesen had to work hard to find this one. He wasn’t just scanning a field with a metal detector, although he has done that too. He researched the hell out of it, using aerial photography, topographical analysis, studying place names and the historical record. Then he deployed the ol’ shoe leather technique, systematically walking a snowy field in the morning sun looking for glass, flint or anything else of archaeological significance. He found the stamp on the ground, took a picture of it and sent it to the local museum. That was four years ago. The seal has since been studied by experts at the National Museum and now we know who wielded it in life. 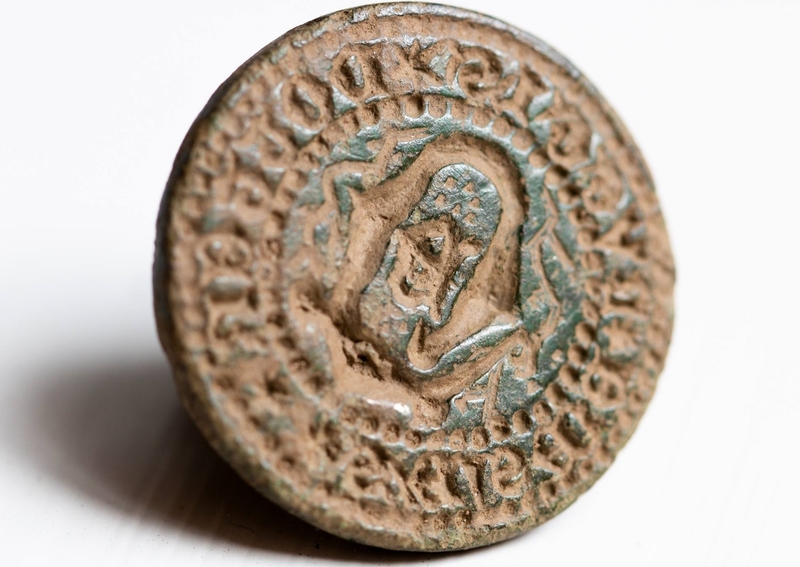 That the seal belonged to a woman was confirmed after examination by the National Museum, which found the inscription ‘Elsebe Buggis Dotter’, meaning Elisabeth Buggesdatter, on the stamp. 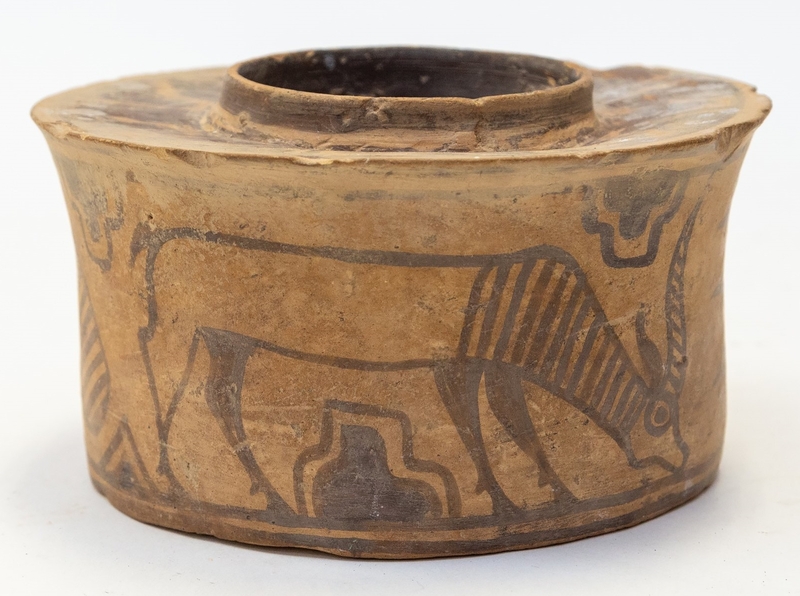 “It is outstanding to be able to connect this very personal object to a person we know from historical sources,” National Museum curator Marie Laursen said. “That the owner was a woman who was among the leading figures in society in the 14th century makes this discovery even more spectacular,” she added. 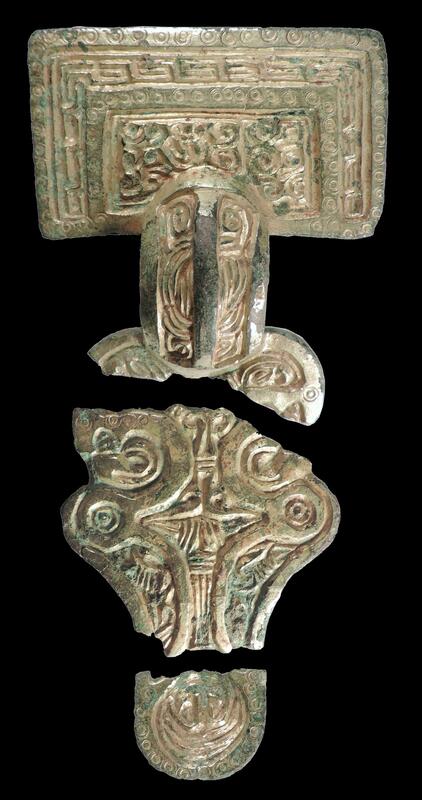 University of Sheffield archaeologists have discovered an Anglo-Saxon cemetery in Scremby, Lincolnshire. The burials of more than 20 individuals were unearthed at the site in the Lincolnshire Wolds. They date from the late 5th century to the mid-sixth and virtually all of them include rich grave goods. It was those grave goods that alerted archaeologists to the presence of the cemetery. 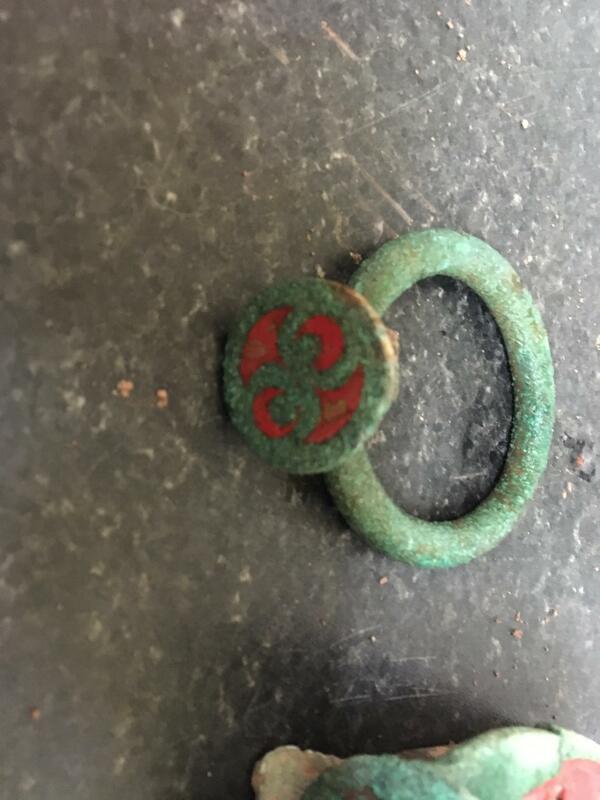 A local metal detector hobbyist exploring the field discovered a number of Anglo-Saxon pieces of jewelry and weapon fittings and responsibly notified the Lincolnshire Finds Liaison Officer. 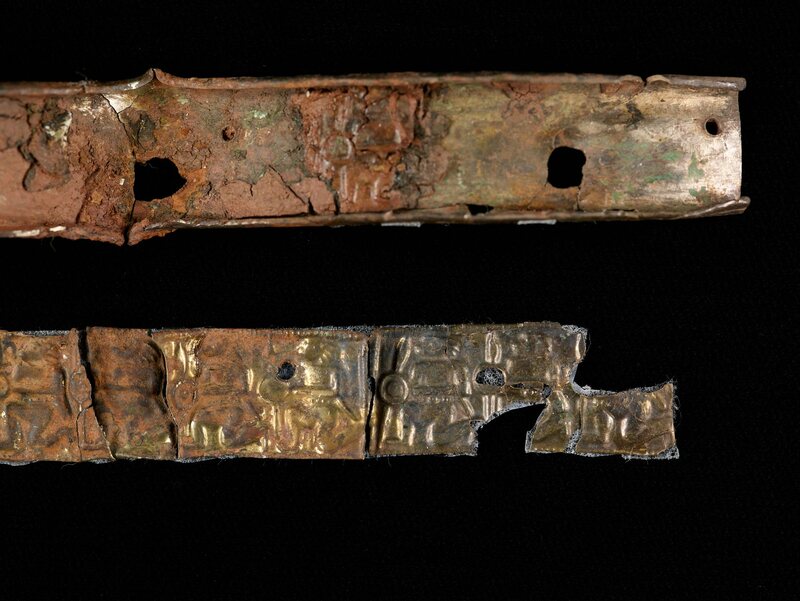 Because the objects found — gilded brooches, spear heads, iron shield bosses — are indicators of Anglo-Saxon era burials, archaeologists were brought in to excavate the site. 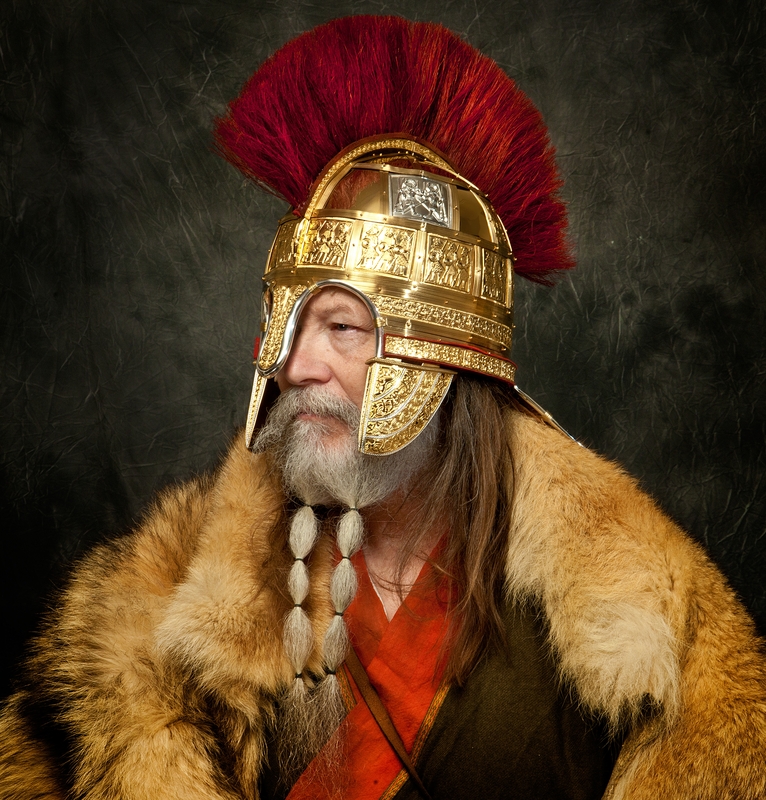 Dr Hugh Willmott, Senior Lecturer in European Historical Archaeology from the University of Sheffield, said: “Almost without exception, the burials were accompanied by a rich array of objects, in keeping with the funerary rites adopted during the early centuries of the Germanic migrations to eastern England. “What is particularly interesting is the significant proportion of very lavish burials which belonged to women. These women wore necklaces made from sometimes hundreds of amber, glass and rock crystal beads, used personal items such as tweezers, carried fabric bags held open by elephant ivory rings, and wore exquisitely decorated brooches to fasten their clothing. Individual child burials have not been found so far in the cemetery. The only child unearthed was an infant buried with an adult woman. The baby was cradled in the woman’s left arm. The skeletal remains discovered in the burial ground are in good condition and will be extensively analyzed to learn more about the early Anglo-Saxon community that inhabited the area. The bones will be given a full osteological examination at the University of Sheffield Department of Archaeology. Stable isotope analysis of the teeth will reveal where the deceased grew up based on the kind of food they ate and water they drank as children. The metal artifacts will also be tested for the elemental composition of alloys and the ivory rings to identify the species of elephant they came from. 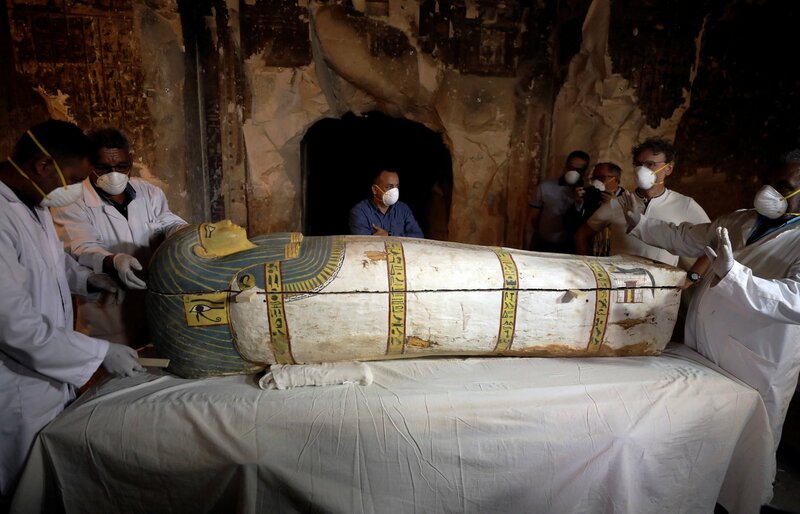 In a first for modern archaeology, Egyptian officials opened an intact sarcophagus in front of a cadre of international press on Saturday. 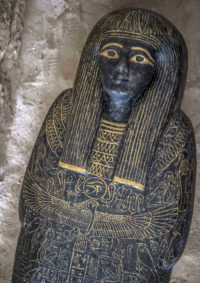 The wood sarcophagus dates to the 18th Dynasty (1550 B.C.-1300 B.C.) is in excellent condition, its still-bright paint covering both lid and base. Fortunately for the government and the assembled representatives of the fourth estate, there was something inside. When the lid was raised, the well-preserved mummified remains of a woman, possibly named Thuya, were found inside. It was discovered by archaeologists from the French Institute of Eastern Archeology (IFAO) and the University of Strasbourg in the necropolis of El-Assasif on the west bank of the Nile just north of Luxor (ancient Thebes). Located between the Valley of the Queens and the Valley of the Kings, the Assasif necropolis was used as a burial ground for nobles and important pharaonic officials mainly during the 18th, 25th and 26th dynasties from around 1550 to 525 B.C. 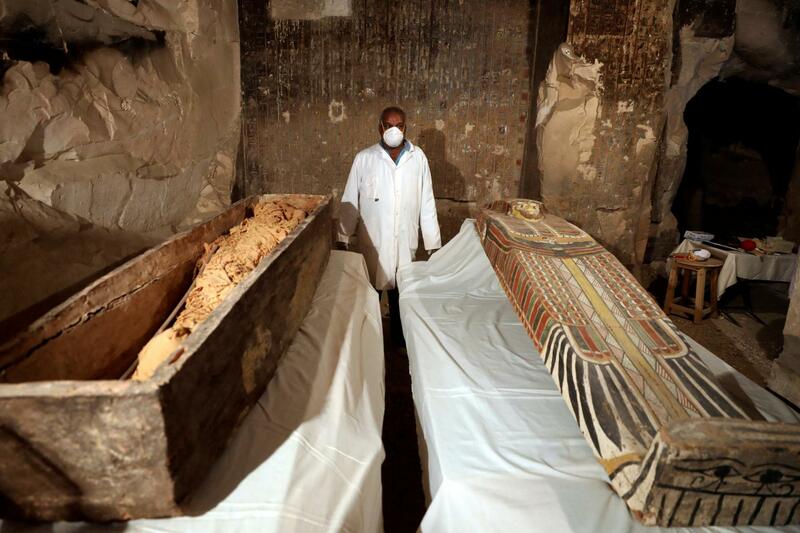 Two intact sarcophagi were discovered in Tomb TT33. The other one, which also dates to the 18th Dynasty, painted in Rishi (feather) style, was opened by experts in scholarly privacy without the whole Al Capone’s vault spectacle. It too contained a mummy in apparently good condition. 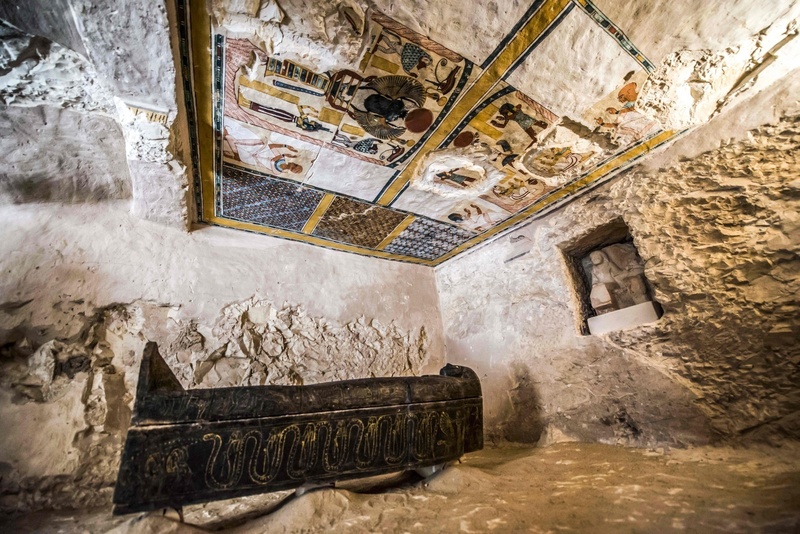 In the five months of excavations at El-Assasif this year, a third sarcophagus was unearthed by the Egyptian archaelogical mission in Tomb TT28. The tomb was carved into the rock during the Middle Kingdom (1975 B.C.-1640 B.C. ), but was reused in the Late Period (664 B.C.-332 B.C.). 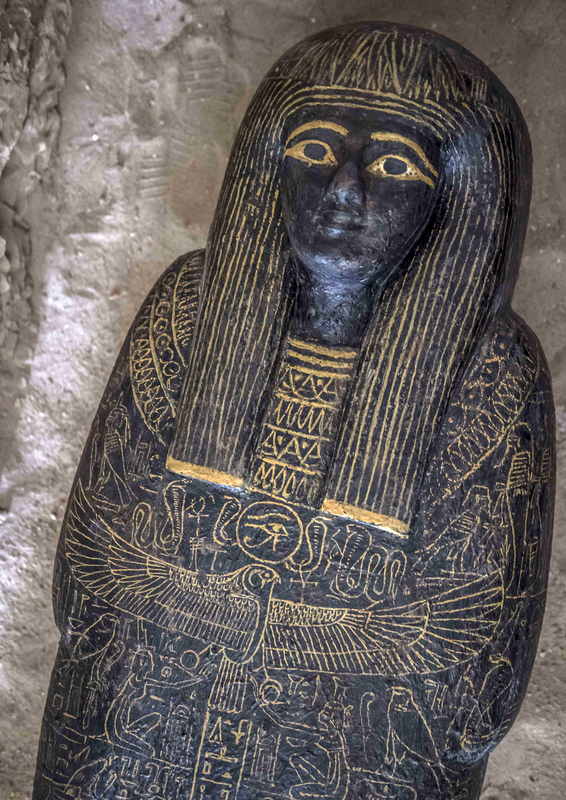 The sarcophagus dates to the 26th Dynasty, is made of black wood and is intricately carved. The engraved decorations are inlaid with gold foil. Hieroglyphics identify him as Thaw-Inkhet-If, overseer of the mummification shrine of the Temple of Mut, one of the four most important temples in the Karnak Temple Complex. It was found in a burial chamber painted with vividly colored scenes depicting the tomb’s owner and family. Another chamber in the tomb contained a group of mummies carefully stacked in the small space, likely family members. 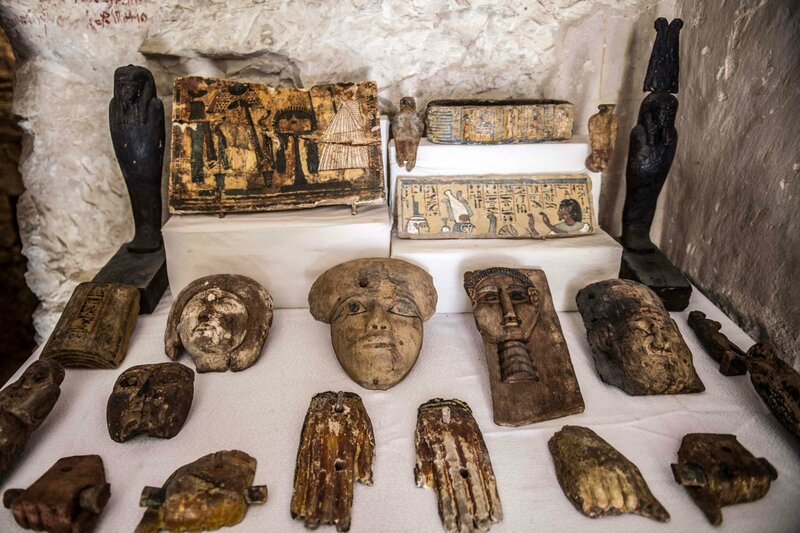 All three mummies found in the sarcophagi will be examined further in laboratory conditions. They will be analyzed for more precise dating and X-rayed to discover more about their lives and deaths. 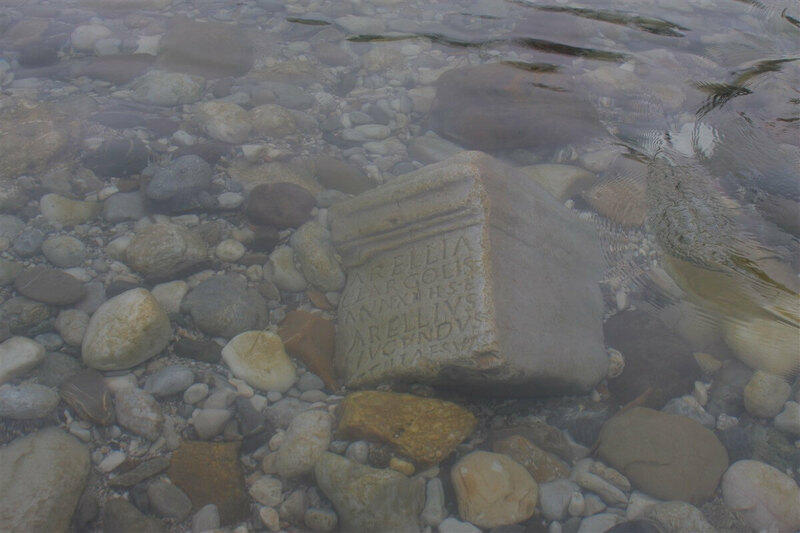 A fisherman has discovered the tombstone of a 12-year-old Roman girl in the Sava river in Kranj, northern Slovenia. Jure Meden was fishing the Sava near Kranj’s medieval old town last week when he spotted a rectangular block of stone. He contacted the Institute for the Protection of Cultural Heritage of Slovenia and it sent archaeologists to take a look at the stone. 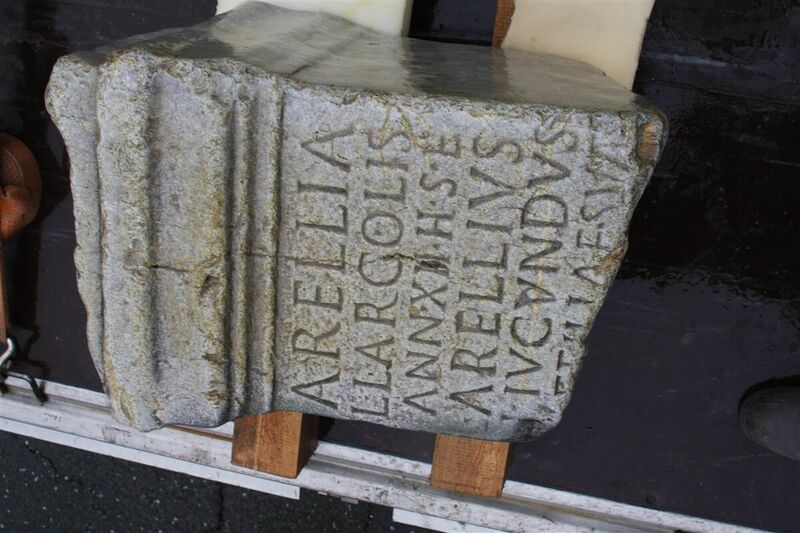 They saw that it had a Latin inscription marking it as the gravestone for a young lady named Aurelia who died when she was 12 years old in the 1st or 2nd century A.D. Her bereaved father commissioned the stone. There is archaeological evidence of human occupation going back to the Bronze Age and there were settlements on the site in the late Iron Age. The town of Carnium, which would become modern-day Kranj, was officially founded where the Sava and Kokra rivers meet by the Romans. An earlier Celtic burial site is located in the southern part of the town overlooking the left bank of the Sava, but Roman cemeteries have not been pinpointed. 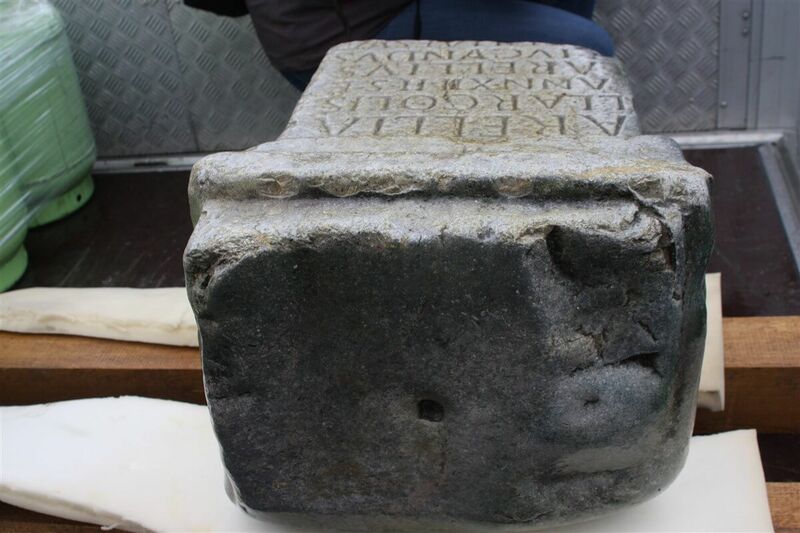 While Roman grave markers are not uncommon in Slovenia, this is the first one known to have been found in Kranj. It’s not clear whether the stone was transported any significant distance by the high water or whether there’s a nearby cemetery. Wear on the stone indicates it has been in the water a very long time. There’s a divot at the top of the tombstone that suggests there was another feature above the inscription, possibly a small statue, mounted to the stone. The stone is in quite decent condition considering it has spent centuries under running water. To prevent any further deterioration, archaeologists wasted no time getting the gravestone out of the Sava. Two days after it was found, firefighters raised the stone from the river and transported it to the Restoration Center of the Institute of the Slovene Academy of Sciences and Arts in Ljubljana for conservation and further study. 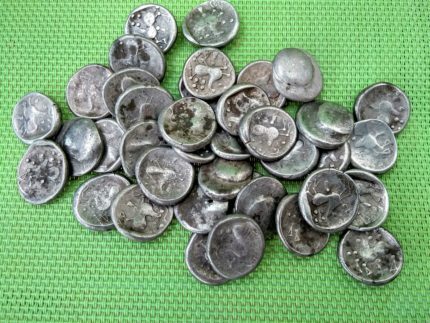 Archaeologists have discovered a hoard of Celtic coins from the early 1st century in the village of Mošovce, northern Slovakia. 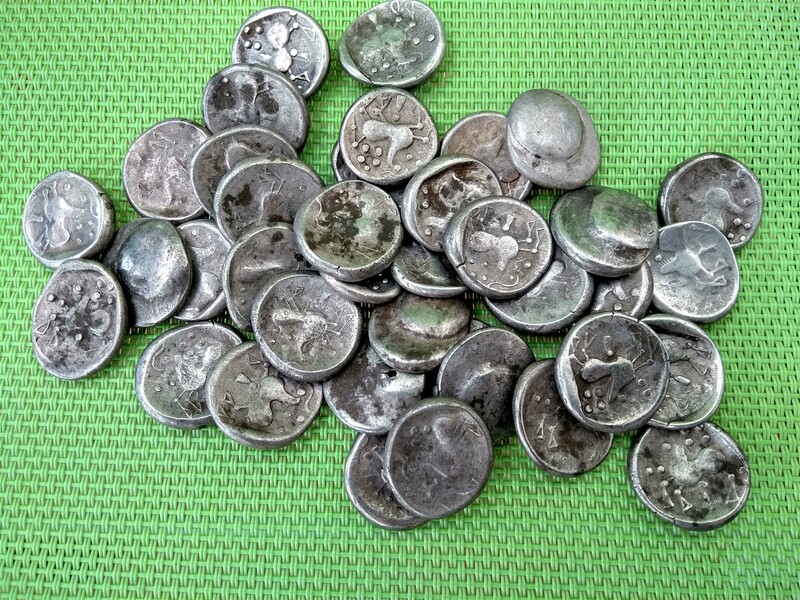 Forty silver tetradrachms were found scattered over a steep slope. This is the second largest coin hoard discovered in the area and the one with the oldest coins. They date to the end of the La Tène period and were buried in the early 1st century around the turn of the millennium when the Romans occupied the area. The collapse of the Celtic civilization and the Roman invasions created social instability that may have spurred the burial of the coins, either to protect precious savings or as a ritual deposit to buy the protection of the gods. They were originally buried in one place, wrapped in an organic material. The archaeologists identified the burial site. It broke down due to soil erosion, exposing the organic material to decay and the coins to scattering. Very few coin discoveries are made in their original context by archaeologists like this one was. Night hawks and looters run rampant, and if they get to a site at all, archaeologists are often beaten to the punch by treasure hunters. Because the coins and find site were untouched, the team was able to discover the extremely important burial location. 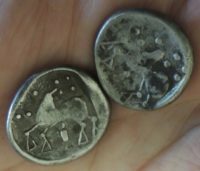 Tetradrachms are silver coins weighing nine to 10 grams, about four times the weight (and therefore value) of the smallest denomination, the drachma. 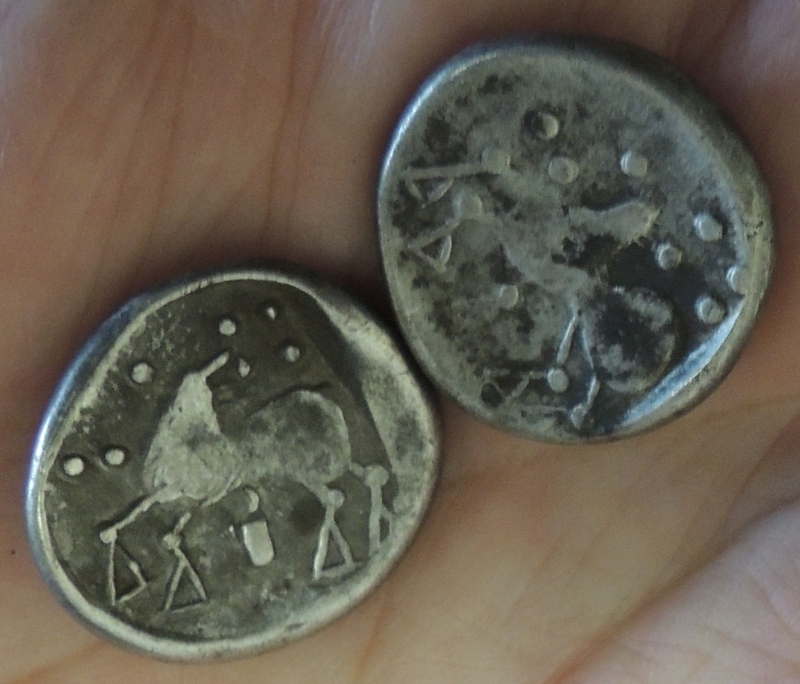 In the 1st century, tetradrachms were the most valuable coin denominations minted in what is now northern Slovakia. Celtic coins are the oldest coins minted in the Slovak area. The finding proves that Slovakia is full of significant archaeological discoveries still hidden under the ground, thinks Matej Ruttkay, director of Archaeological Institute of SAV in Nitra. With more than 4,000 pieces, the hoard of 7th century gold and silver fragments discovered in 2009 near the village of Hammerwich in Staffordshire, England, is the largest collection of Anglo-Saxon precious metals ever found. 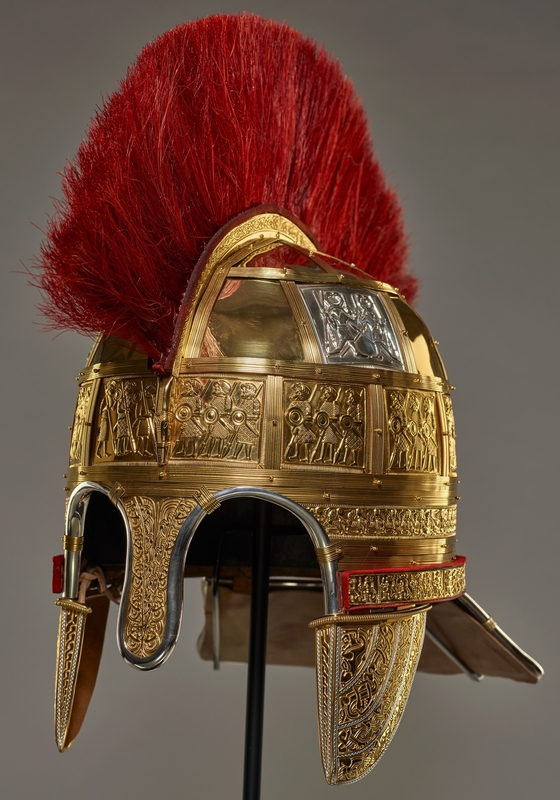 About 1,500 of those pieces were found to come from a single artifact: an extremely rare helmet of highest quality. Like the famous helmet discovered in the 7th century ship burial at Sutton Hoo in Suffolk in 1939, the Staffordshire helmet must have belonged to an individual of high status.The Sutton Hoo helmet’s owner is believed to have been King Rædwald of East Anglia; the helmet is made of iron, tinned bronze sheeting, bronze and a few prominent gilded elements like the upper lip. The Staffordshire helmet was covered in reliefs of silver gilt foil, so has even more precious metal surfacing than the Sutton Hoo helmet. 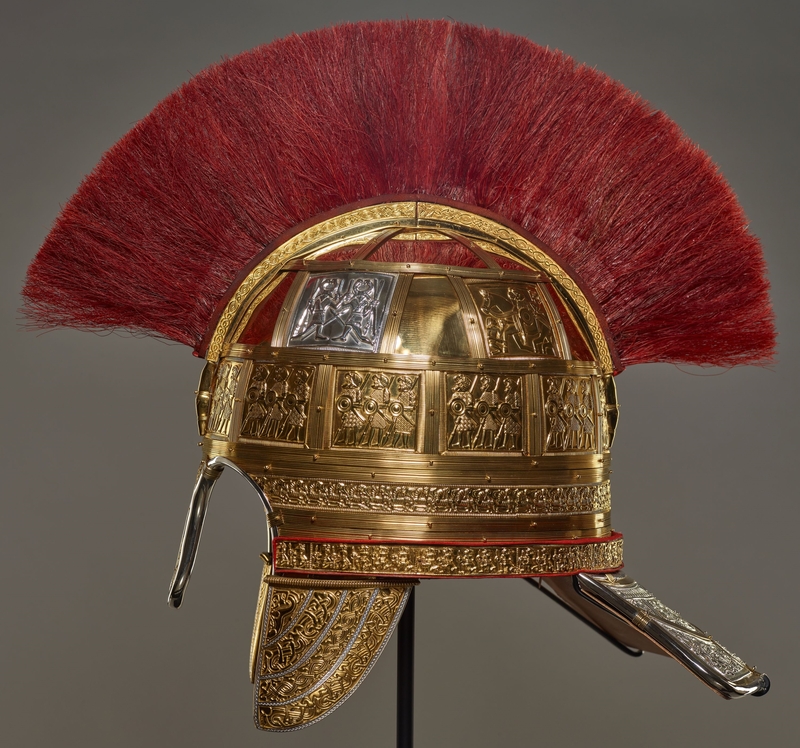 The main structure of the helmet is lost and the hundreds of surviving relief fragments are so thin and delicate that they cannot all be puzzled back together. Small sections to be carefully jigsawed together during an extensive study project dedicated to identifying the helmet fragments amidst the 4,000-plus pieces in the hoard. The project ran from 2014 through 2017. 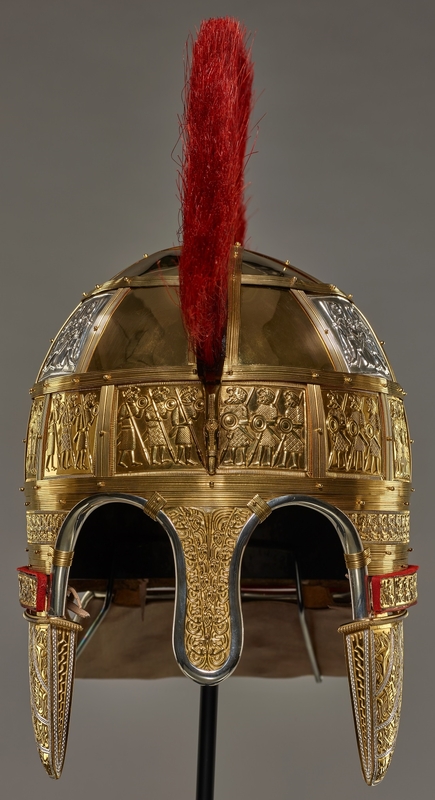 In order to get a full picture of what the helmet looked like when it was intact, researchers dedicated another 18 months to creating a painstakingly detailed reconstruction using a combination of the latest technology and traditional crafts. Two copies were made. It will never be possible to reassemble the original physically. Instead, the project explored how the original may have been made and what it looked like, enabling archaeologists to understand its construction better and test theories about its structure and assembly. The reconstructions went on display at Birmingham Museum and Art Gallery and The Potteries Museum and Art Gallery Friday, November 23rd. Excavations in the historic center of Ribe, the oldest town in Denmark and the hub of maritime trade network that operated in the North and Baltic seas starting in the 7th century, unearthed a section of textile on July 25th of this year. 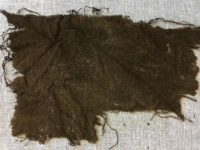 It was preserved in water-logged soil and even folded up and coated in dirt the finely woven fabric was clearly identifiable as diamond twill. This kind of high quality woolen cloth played an important role in the growth of trade in the area. In the early Middle Ages, cloth production was centered primarily in coastal areas where the sheep farms were. Southern Jutland, where Ribe was located, had a significant population of Frisians who specialized in creating wool fabric with an international reputation as the best in the business. Charlemagne gifted colorfully dyed Frisian wool cloaks to the Caliph of Baghdad and star of several One Thousand and One Nights Harun al-Rashid when he sent emissaries in 799 to offer friendship and alliance. It’s a testament to how important the cloth was to the economy that early medieval codes imposed greater fines on people who harmed Frisian wool weavers. Only goldsmiths and harpers were granted the same distinction. The latter two professions were exclusively male. The weavers were largely women, so this law afforded them additional protections that other women did not enjoy. 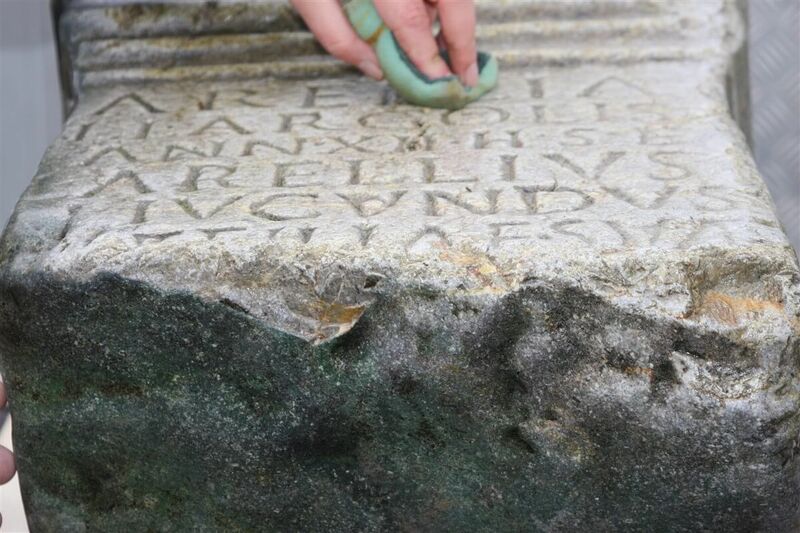 Experts have been cleaning, conserving and studying the piece since it was discovered. They dated it to the first half of the 8th century, just a century after Ribe was settled. It is a z/z diamond twill woven on an A-frame loom with a thread count of 21 x 15 per centimeter. 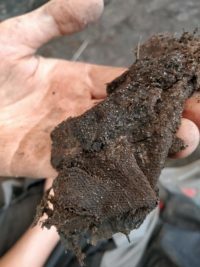 Researchers believe it’s a weave known as the Spong Hill type after the Anglo-Saxon cemetery type site where textile remains were found attached to brooches and other accessories. More research needs to be done to confirm the identification, to determine if it was dyed and find out other details about the piece. But really it’s all about the before and after pictures. As Mike dug down eight inches into the soil he found other decorative pieces, including bronze bridle fittings, a brooch and the handle section of tools. 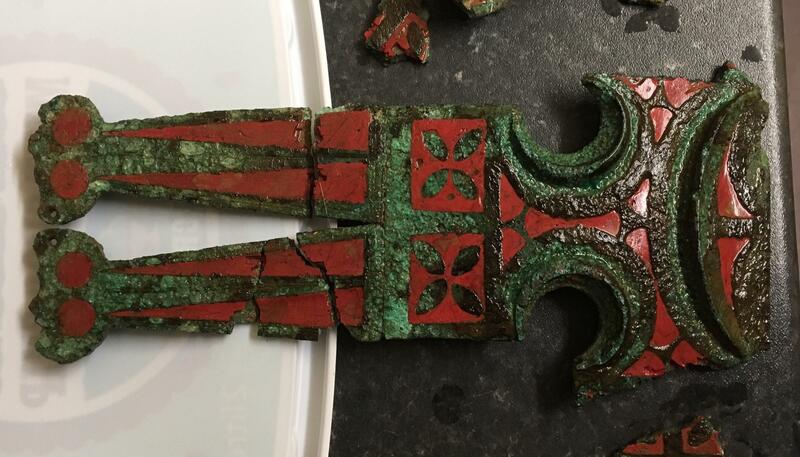 Though they were green from corrosion, the bronze pieces were covered in bright red enamel decoration which had not faded with time. The small metal objects weren’t the only thing at the site. Smith’s metal detector signaled the presence of a much larger metal anomaly about 10 feet long. 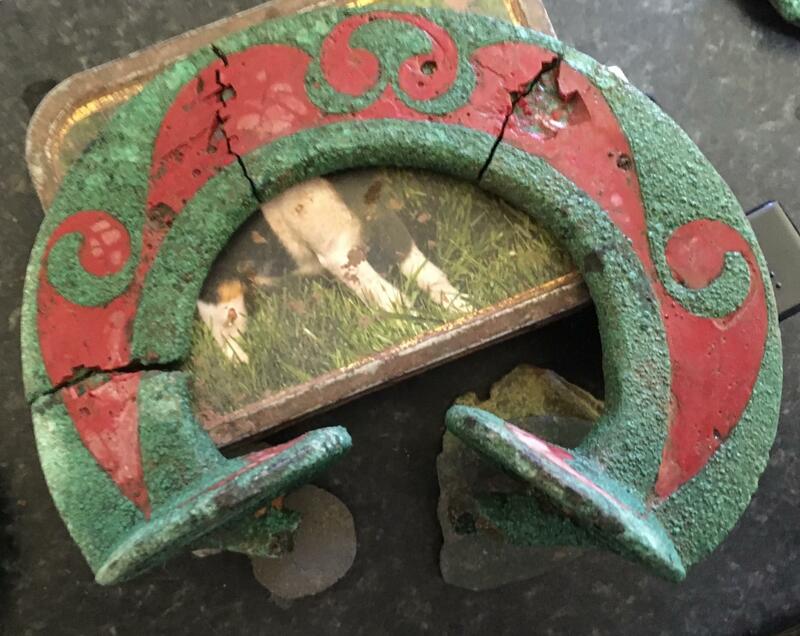 Mike alerted the National Museum of Wales in Cardiff that he had found horse fittings and gotten a signal alerting to greater metal quantities under them. He suggested that it could be a chariot burial. The experts were doubtful as no such thing had been found in Wales before. 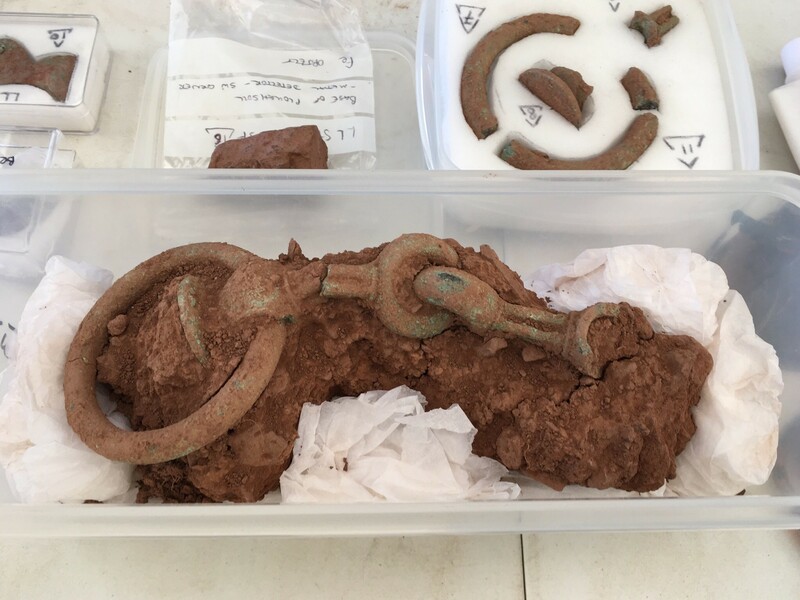 All speculation aside, the significance of the bronze pieces spurred the National Museum of Wales to organize a joint excavation with the Dyfed Archaeological Trust at the find site in June. The team, Mike Smith included, only had a week’s worth of funding to do a geophysical survey and dig test pits. They hit paydirt right away. Just 10 inches below the bronze and enamel artifacts archaeologists unearthed the rims of two iron chariot wheels. A tooth from a pony next to two bits confirmed that this was a chariot burial, the first of its kind ever found in Wales. 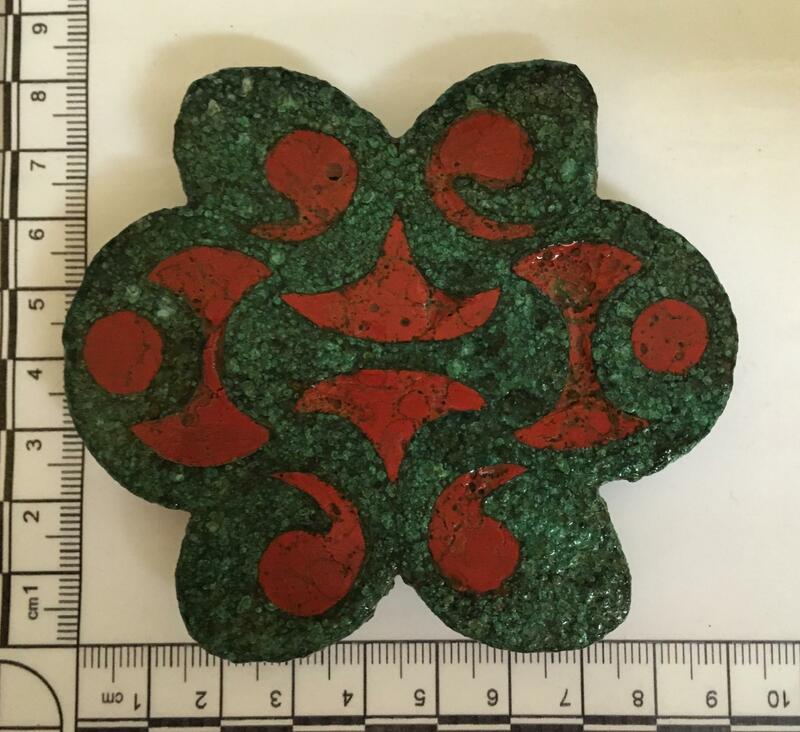 They haven’t even reached the 10-foot metal Smith’s detector alerted him to, and already they’ve unearthed 35 fragments of enamelled bronze. The geophysical survey indicates there is far more to this site even than a uniquely important chariot burial. Survey work uses a technology called geophysics which maps structures buried under the earth and revealed a 12m circular earthwork around the burial, known as a ring ditch. Two other burials in ring ditches were also found nearby and soon a complex of ditches, walls and other features were detected. Researchers believed that a huge and previously unknown Celtic settlement had been found. “The actual field is very large and it is only in the corner of this field, but the settlement is also going into other nearby fields,” said Mike. There are no estimates for how large the settlement could be, but the National Museum staff believe it to be larger than Castell Henllys near Crymych, which is just over an acre in size. After the week was up, the chariot was covered back up to keep it safe from the elements and from treasure hunters. Archaeologists plan to return for a more in-depth excavation next year when the cash more fluid and the weather less so.